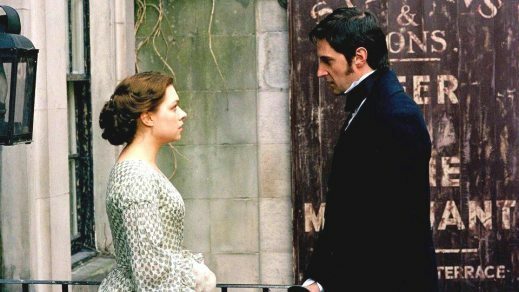 Please Join #NS10 – A Fan-Based 10th Anniversary Celebration of the Premiere of North & South AND a Read-Along of the Book! CELEBRATE THE 10TH ANNIVERSARY OF NORTH & SOUTH WITH US! The weekend of Nov. 14 marks the 10th anniversary of the BBC series North & South, and we are planning a fan-based, online GLOBAL celebration. Thanks to Tara Jarrett for the terrific “Selfie-While-Watching” idea! During the weekend of November 14, watch N&S and take a selfie of you watching (Shy people: if you, like me, are shy about taking a selfie that includes your face, don’t be concerned. My selfie is going to be of my TV with my legs stretched out on the coffee table in front of my sofa! ).